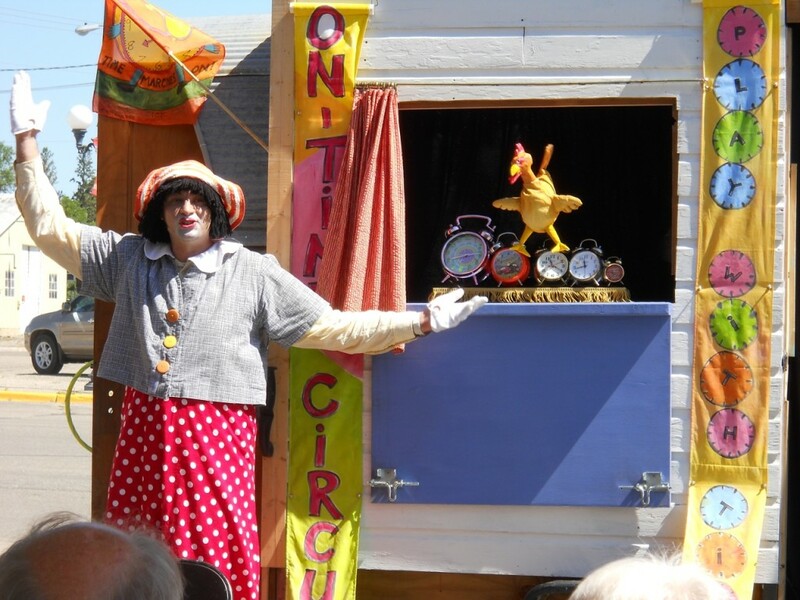 Ms. Tock has set out with her feisty dog, a diva chicken, and tagalong mice in her quirky little trailer assembled from pieces of her past! Together they have a circus to perform. This is not just any circus; this circus is On-Time! 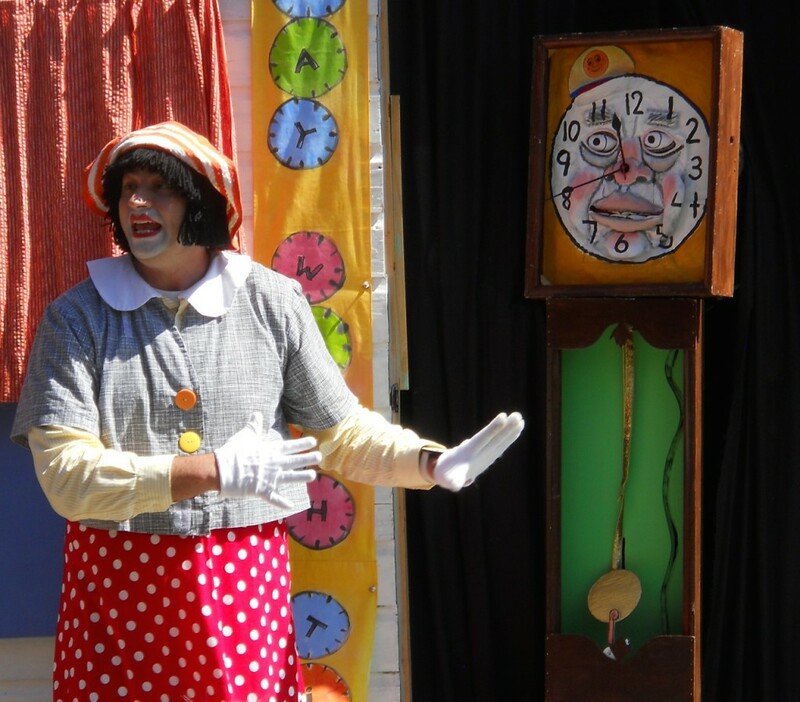 Ms. Tock studied time with her beloved Grandfather Clock, and now even Grandfather Clock has a timely circus act! There is just one catch, and that has the fate of the On-Time Circus up in the air! 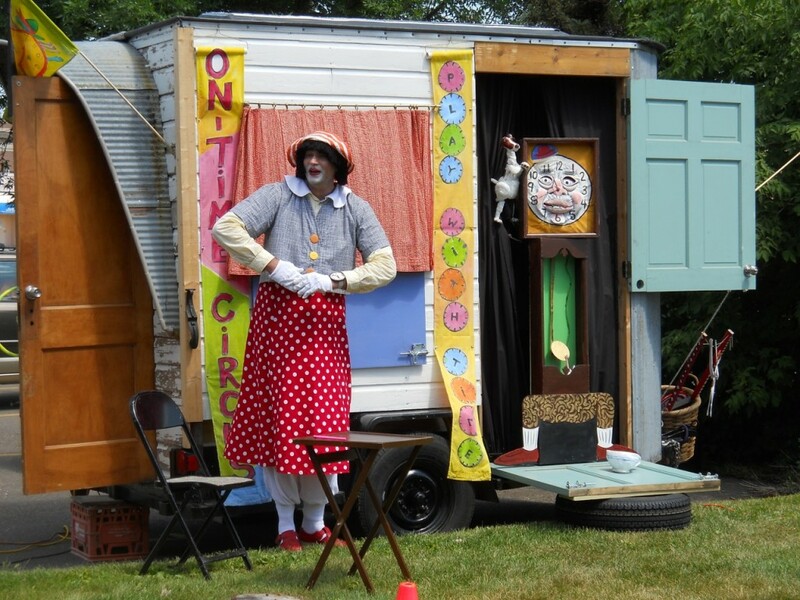 The On-Time Circus is up to the minute fun for family audiences! 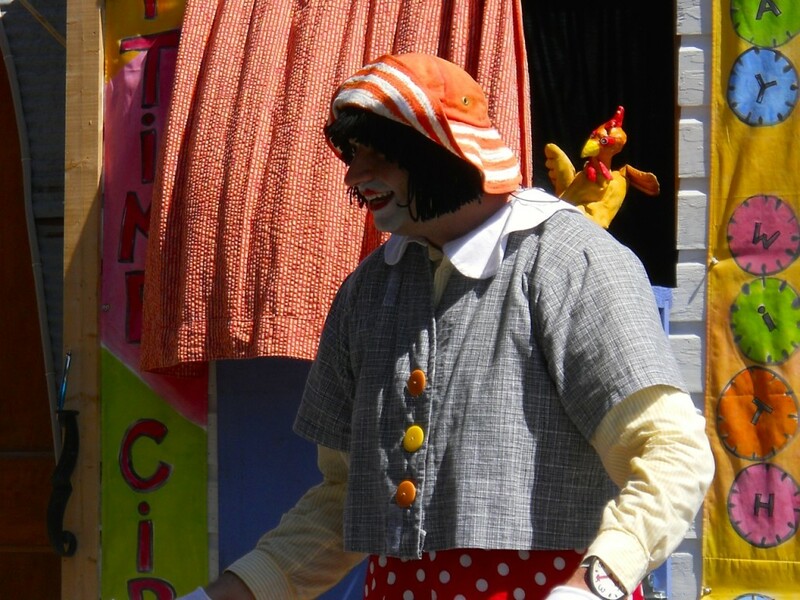 Puppets, clowning and live music, and songs make this show a must see. 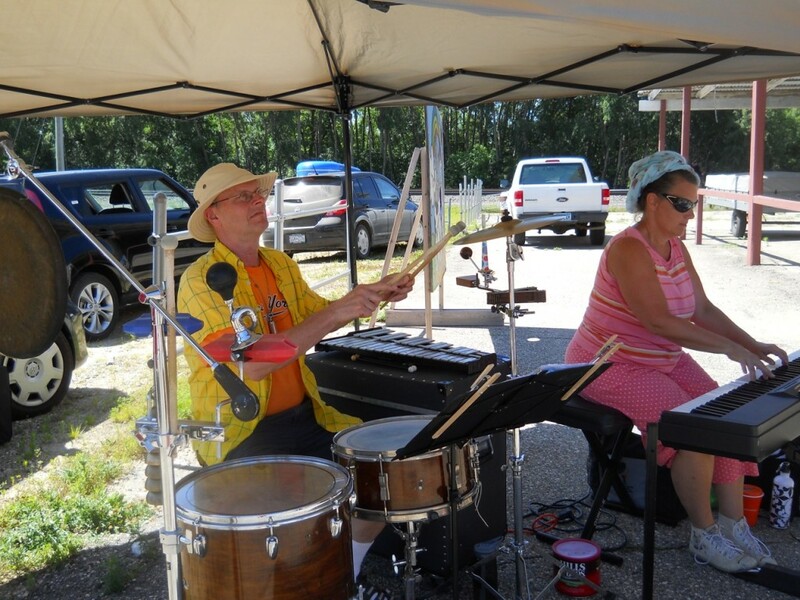 Come experience the tradition of traveling performers who set up in your community to put on a show. 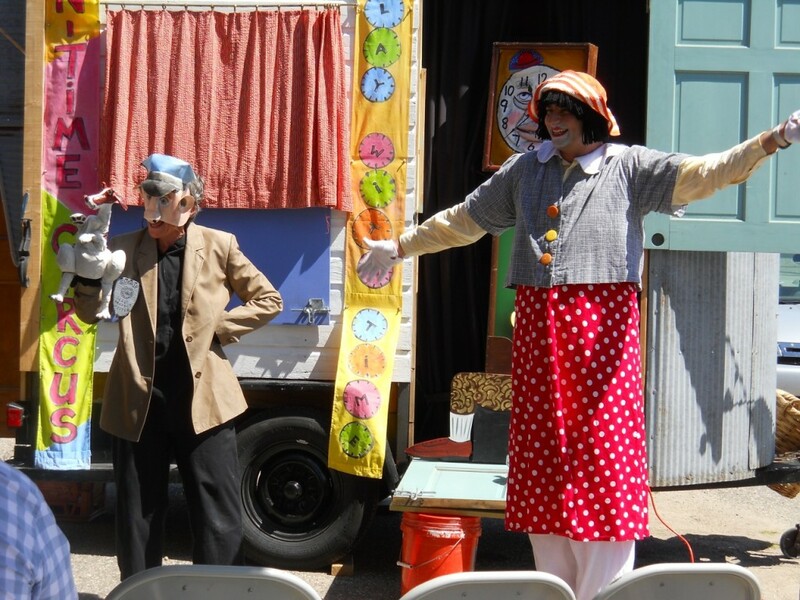 We tour “The On-Time Circus” in a puppet wagon/trailer that is made out of reused parts and recognizable objects that are “repurposed” and used in fanciful ways so that the overall effect is of wonder. Curiosity is piqued, necks craned, questions asked, thoughts provoked! Inventor and engineer Willis Bowman designed and built the trailer. 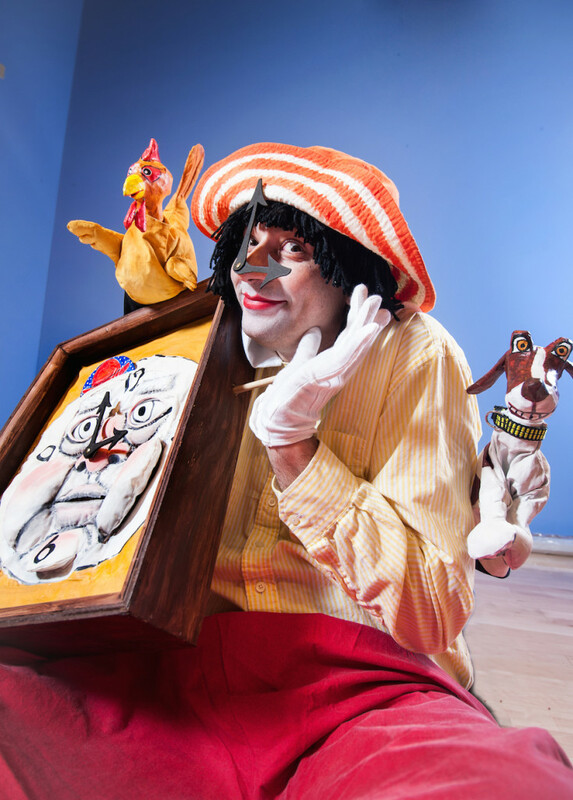 "The On-Time Circus" is created by Margo McCreary, and performed by Margo McCreary and Paulino Brener, with music and songs composed by Marya Hart, who will be performing live with percussionist, Bruce Wintervold. 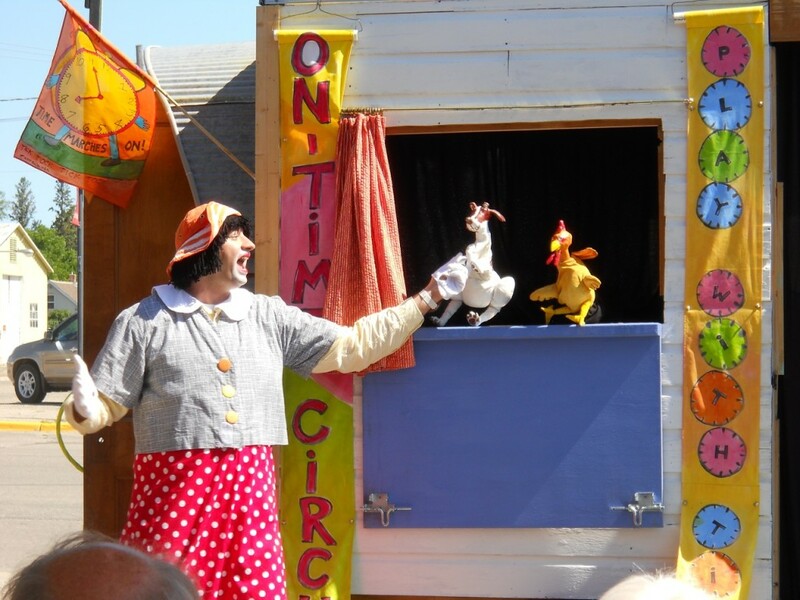 Ms. Tock, Jack the Dog and Jessamine the Diva Chicken in The On-Time Circus! 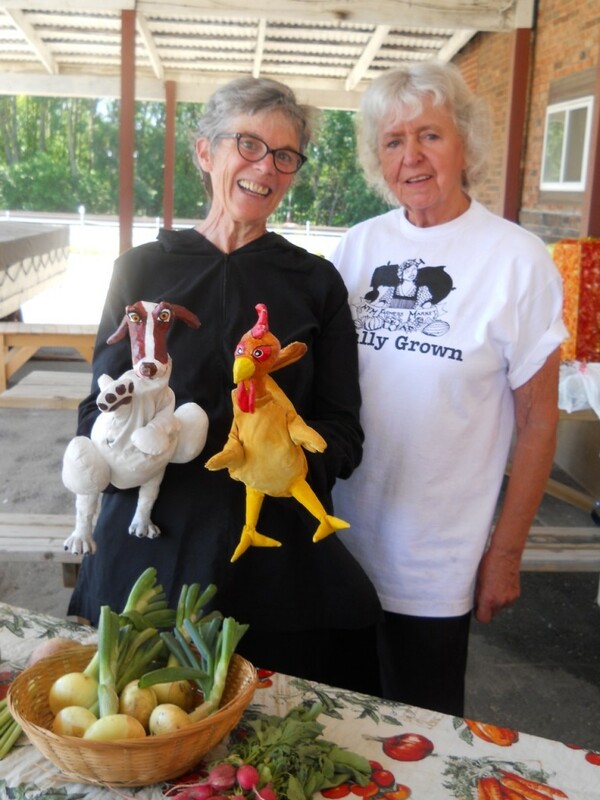 Margo McCreary is a fiscal year 2011 recipient of an Artist Initiative grant from the Minnesota State Arts Board. 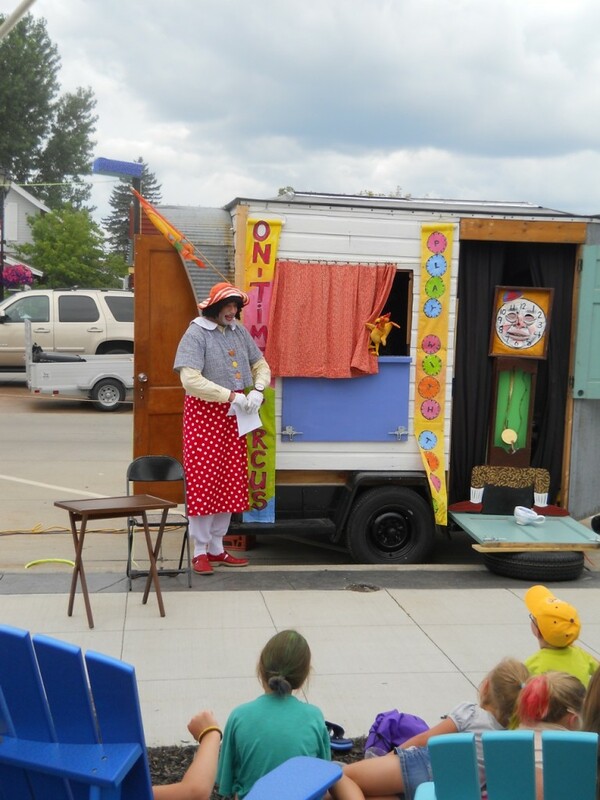 This activity is funded, in part, by the Minnesota arts and cultural heritage fund as appropriated by the Minnesota State Legislature with money from the vote of the people of Minnesota on November 4, 2008.